Woerner Industries has manufactured and installed pew seating for over 85 years. We are located in Rochester, New York and have a history of working with churches in satisfying their seating needs. While we have some of the most modern woodworking equipment available, we still employ many of the same manufacturing techniques and quality standards used by our craftsmen 50+ years ago. 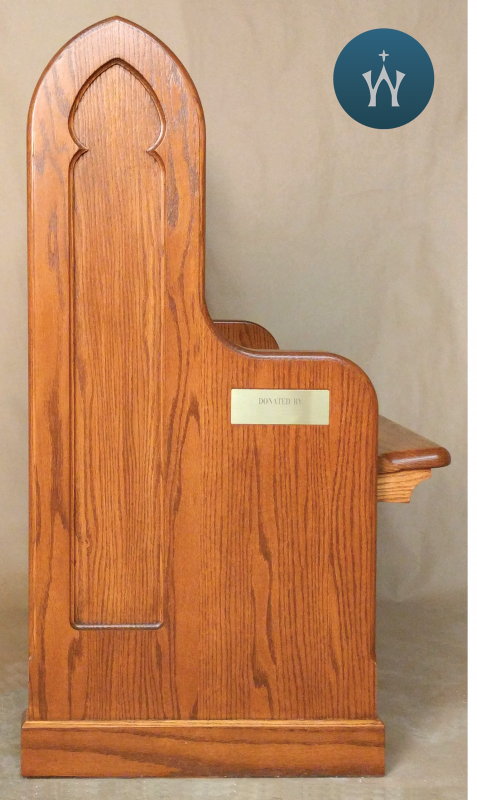 We specialize in solid wood pews, with wood or padded seats and backs. We offer a complete line of pews and accessories. All of our designs can be customized to meet your needs. Pews are available in Northern red oak (standard), white oak, cherry, maple, birch, walnut, and mahogany. Upholstered seats and backs are removable for later reupholstering. Many of our projects involve custom pews. We specialize in projects which require refurbishing and/or manufacturing new pews to match existing pews. Please click on the link below to view our complete Pew Catalog!